Animals were left without water in a hot room. SASKATOON — A charge of negligence has been laid in the deaths of 14 large-breed dogs last year at a Saskatoon boarding kennel. Police say the charge follows an investigation done in conjunction with the Saskatoon SPCA, which found the dogs died from heat stroke and dehydration at the Playful Paws Pet Centre last September. Investigators say the animals were left unattended overnight and were without water in a room that was dangerously warm. A 50-year-old Saskatoon man is to appear in provincial court March 29 to face the charge under the Animal Protection Act. 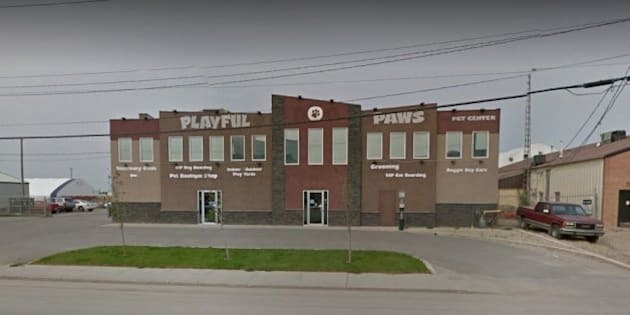 A message posted on the pet centre's Facebook page after the deaths said a mechanical failure in a rooftop heating unit caused it to continuously pump warm air into one of its upstairs kennel rooms and that staff were devastated by the deaths. Patricia Cameron, executive director of the Saskatoon SPCA, said at the time that there are no licensing regulations for kennels.